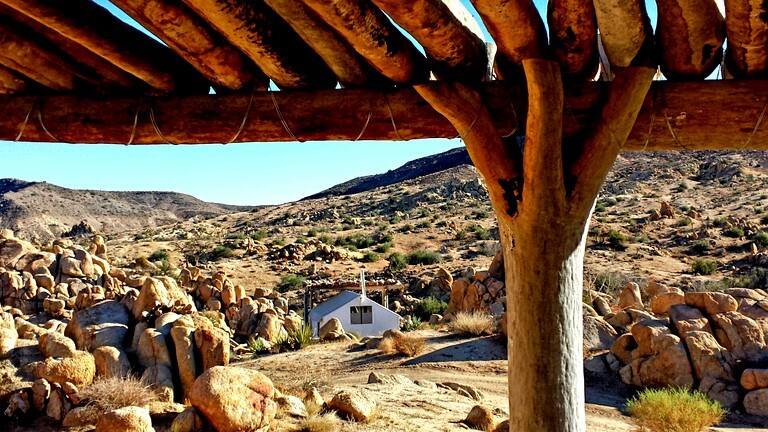 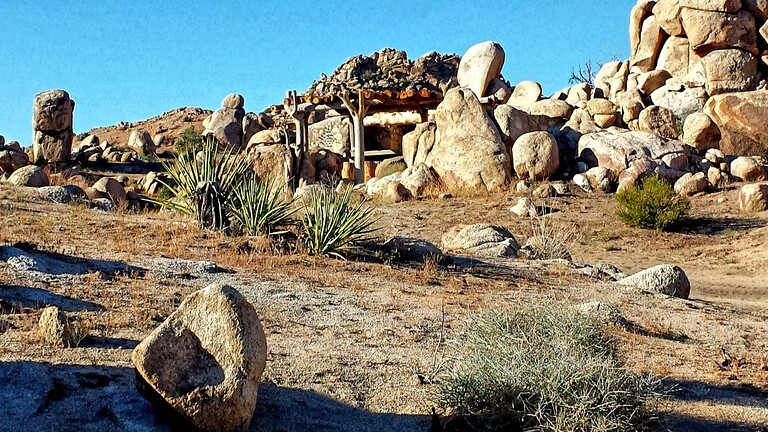 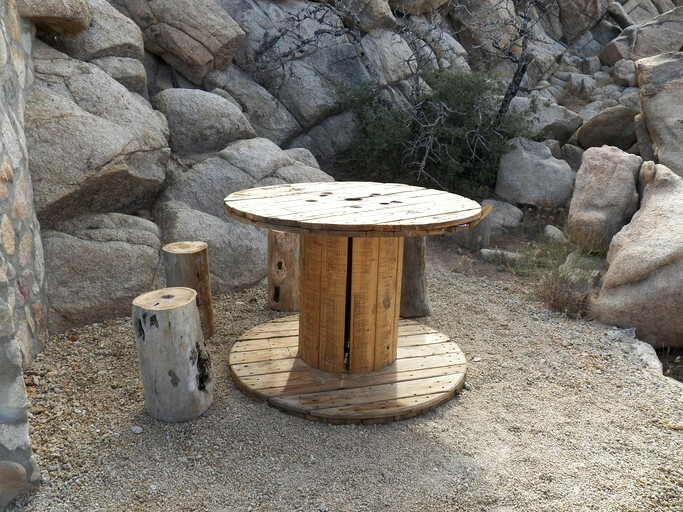 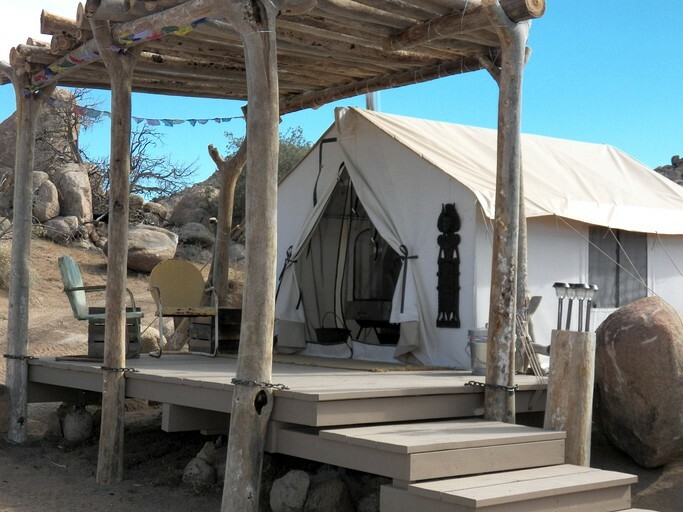 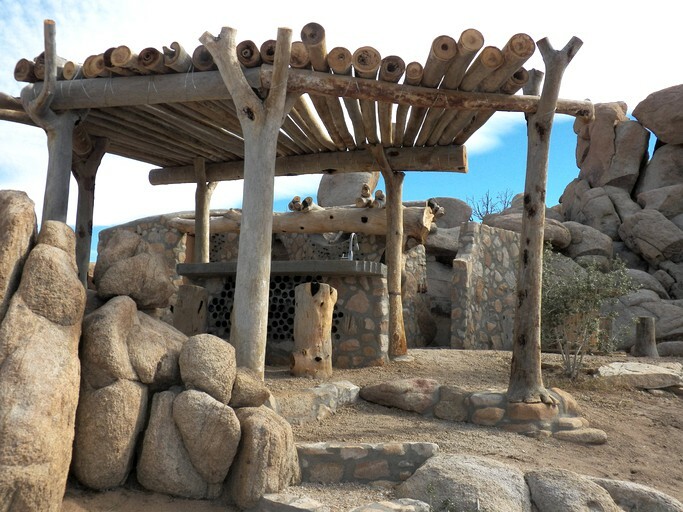 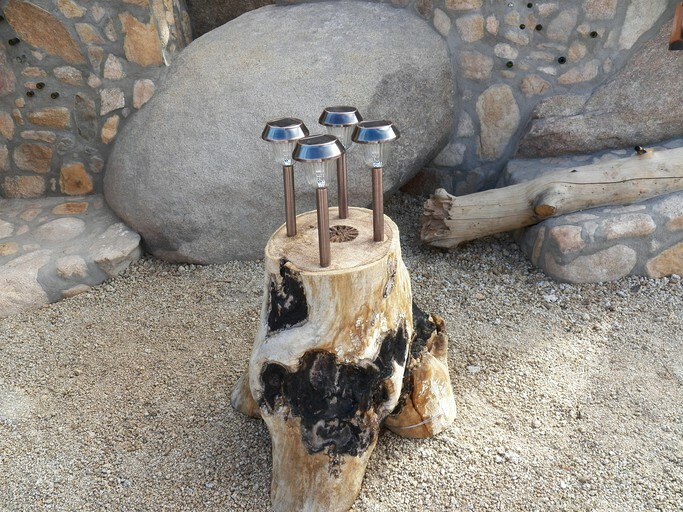 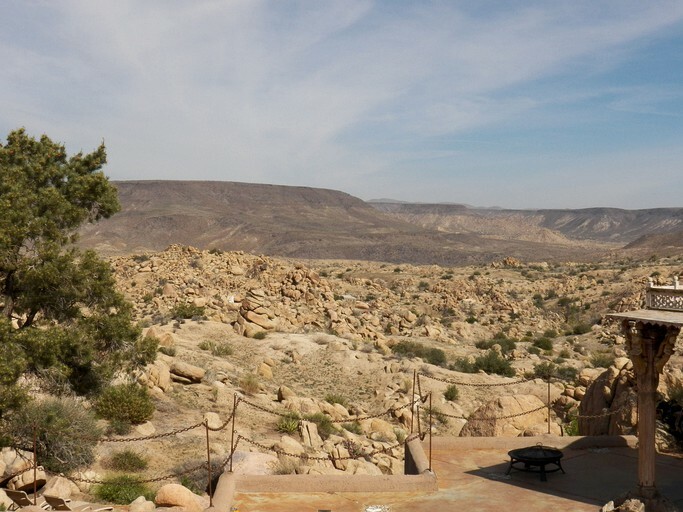 This charming 10-by-14-foot safari-style tent is tucked in the strikingly beautiful desert wilderness of California's Yucca Valley near the Joshua Tree National Park. 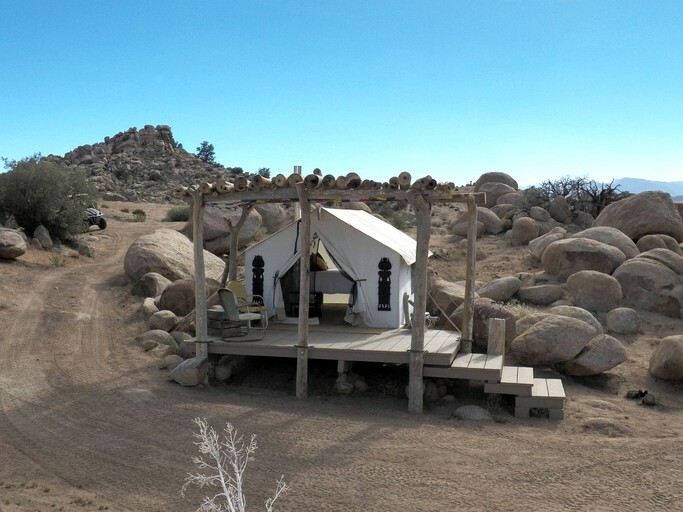 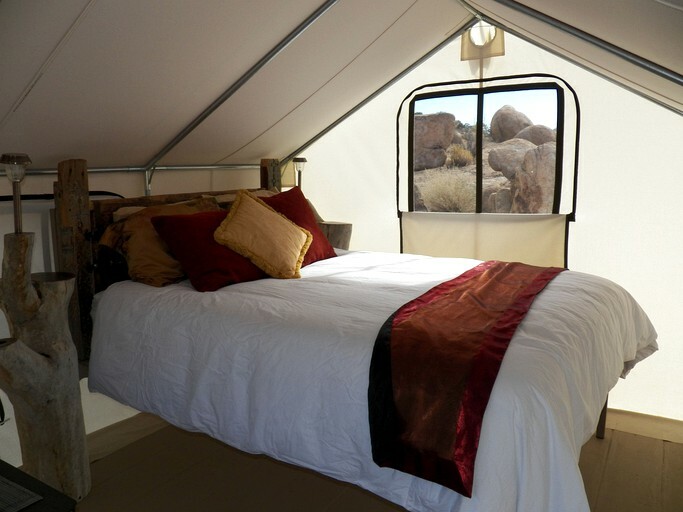 The tent features a queen-size bed appointed with linens and pillows, Joshua tree nightstands, and a cozy wood-burning stove. 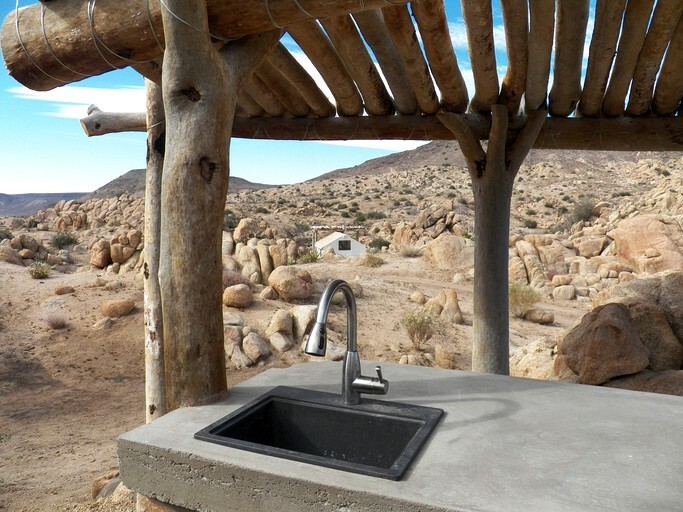 There is a bathroom with a toilet, a sink, and a shower just a few steps from the rental.